I used to have a job where I would much rather be sick at home than actually go to work. My current job is not that job. I am absolutely hating being stuck at home, despite the wonders of watching Dr. Phil and Maury, because I am missing coding on some awesome projects. 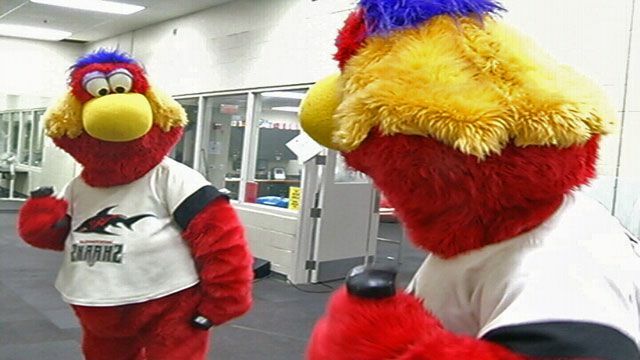 But the other thing I do at work is look at mascots, and thankfully, mascot pictures go with me anywhere that I want… because they’re just an internet search away! Today’s mascot comes from the internet search ‘weird professional football mascots.’ Thank you, Yahoo, for finding what completely matches this description. 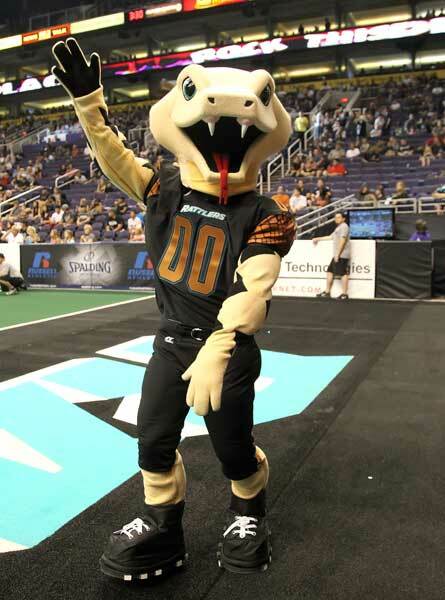 This is Styker, of the AFL’s Arizona Rattlers. He represents one of the longest-running and most popular AFL teams, being founded in 1992 and often selling out their games. Granted, their stadium is only 15,500 at capacity, so selling out is not exactly a sign of popularity. In 2009, the AFL filed for chapter 7 bankruptcy, because let’s face it, none of us watch it. 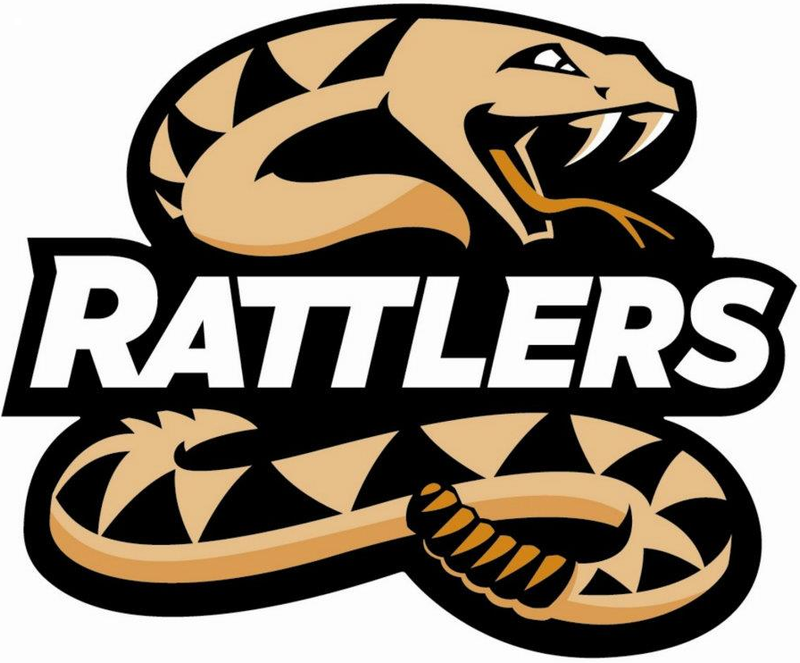 But the Rattlers and three other teams decided to try and keep arena football alive, by making a new league called Arena Football 1. By 2010, Arena Football 1 had been granted all of the logos and naming rights of the original AFL, and therefore, none of us even noticed that the AFL had disappeared in the first place. 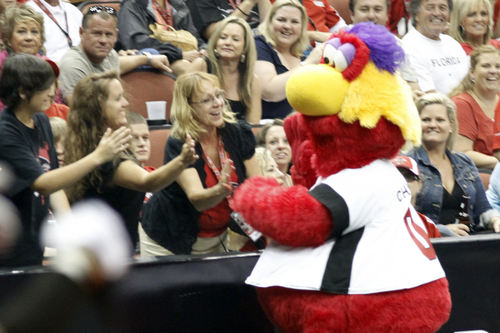 In 2012, 2013, and 2014, the team earned the title of ArenaBowl champions, but lost in 2015 to the Sabrecats 67-70. Wow, I didn’t know AFL had such high scores and such little defense. And rattlesnakes. What sport does the USA love more than any other? Football!!! !… Unless it’s arena football, and then we don’t seem to care. But really, why do we not care? It’s pretty much the same sport, just inside, on a field half the size, with higher scores, weaker defenses, and no punting. Plus, they have mascot stories that are much more detailed than anything I’ve ever seen. Chum was born in New York, where he worked with his father on fishing boats. Working under the hot sun in the boat made Chum very warm, and he would often going swimming to cool off. That’s where he noticed that he can communicate with the sea life, and became good friends with a shark named Bruce. Most fishermen didn’t like Bruce because he would scare people on the beach and wreck fishing boats, so they came up with a plan to kill him. One day, Chum slept in too late, and did not go out with his father on the boat. Unfortunately, that was the one day that the boat never made it back, and legend has it that his father was killed protecting Bruce from the other fishermen. Chum was heartbroken about it, and decided he needed to start his life over somewhere else, so he made his way down the coast, but Virginia, North Carolina, South Carolina did not feel like home. Then he got to Jacksonville, Florida, and found sharks to cheer for, and immediately knew it was the home for him. 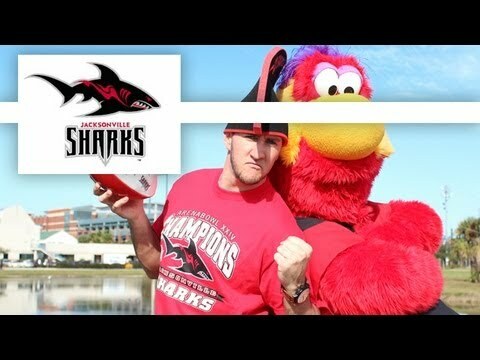 He has been there ever since, cheering for the Jacksonville Sharks AFL team. It looks like he has plenty of happiness in his life again, thankfully, filled with friends and fans, sharks of course, and even getting buff. I’m glad he has found where he belongs, even if it is with people who are this good at looking angry. Imagine a creepily long tongue that suggests you should rock and roll all night, and party everyday. Now imagine that as a mascot. Confused and scared? Because you should be. 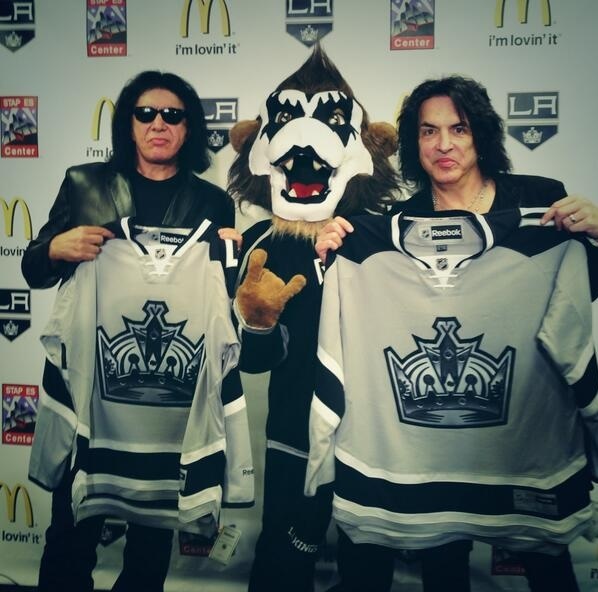 In 2013, the Arena Football League gained a new team named the LA Kiss, owned by Gene Simmons, of course. 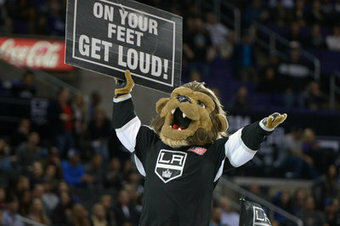 This Bailey, and I guess most of the time, he tries to be family friendly and like any other mascot. But sometimes, he gets a little too into it, I wonder if his tongue is super long? 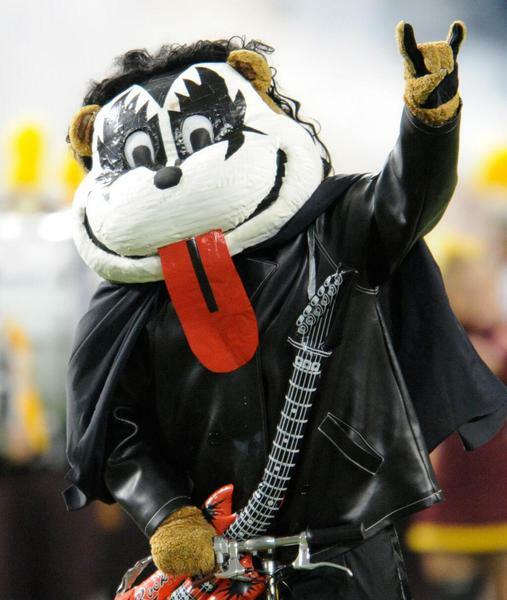 At one point, Goldy, of the University of Minnesota, parodied this, which is awesome. Friendly, but still super legit.